Behind what appears as chaos in our world is the process of purification. In this long process of recalibration, we are dislodging darkness to allow Light energy to flow again. We all have our own shadow elements to make peace with but it’s not just the darker experiences of this lifetime that we are healing, it is centuries of distorted beliefs, ideologies and fears that have directed our cultures down the many different paths our civilisation has taken for as long as we know. These underlying patterns are part of all of us. We all have them. We all live with them. And we all have the choice to master their subliminal controls on how life transpires. With awareness of the Universal Laws and how they connect with the DNA of the human body, we can begin to see the world with a unified vision, through the eyes of Love. For Love is the only answer for Peace. Kryon has said many times that future generations will look back on our current era with disbelief at the barbarism we still perpetrate on one another. And yet this is the process we must move through. This is the recalibration. But it by no means diminishes the bravery of innocent Souls choosing to participate in these events. Their willingness to help reinforce the sheer insanity of what we do to each other only strengthens the urgency for global change. Humans are not only killing humans, we are killing the animals, we are killing the planet. As a civilization, we have lost our priorities through a lack of purpose. But while we can hold a light for the passing, we must also hold a light for our future. We are immersed in and surrounded by a new energy that is bringing through great change. 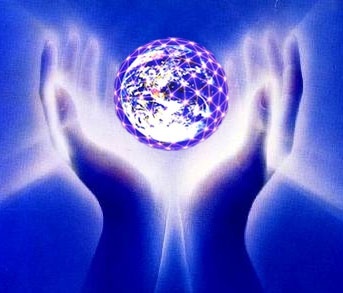 As each one of us works through our own purification, we collectively assist with anchoring the grid of Light that is now being established around our planet. Overcoming fear and releasing blocks obstructing the path to our Truth is our purpose. This is our task and as much as we may feel things either being out of control or even stalling at times, we cannot succumb to doubt and fear. We must hold faith that the speed of change is telling us exactly what we need to do, where we need to adjust our ways and redirect our focus. The purification of our own vibration also enhances the clarity of our own intuitive guidance. There are messages to be received and they are always encouraging and supporting all that we do. So as the grid of Light strengthens and we open to the Truth that is within us all, even when it’s one Heart at a time, we are making a difference. We are making our contribution to this global transformation that is evolving from the distortion of the old ways.